He is a Chartered Engineer with Engineering Council UK and Professional Engineer with the Board of Engineers Malaysia. He is also the winner of the Innovator of the Year Award 2009 of IChemE UK, Young Engineer Award 2010 of the Institution of Engineers Malaysia, and Outstanding Young Malaysian Award 2012. 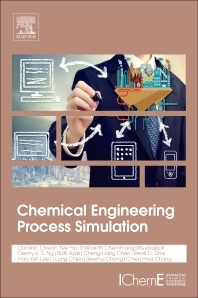 He has over 80 published papers in various referred journals, co-editor of the book entitled Recent Advances in Sustainable Process Design and Optimization, and sole author for the textbook of Process Integration for Resource Conservation. 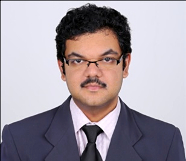 Dr. Nishanth Chemmangattuvalappil is an Associated Professor of Chemical Engineering in the Department of Chemical and Environmental Engineering at University of Nottingham Malaysia. He is also the Head of Sustainable Process Integration Group of the Environmental Research Division of the University of Nottingham, Malaysia campus. He received his PhD in Chemical Engineering from Auburn University in 2010 and worked as a Post-doctoral fellow at the University of Pittsburgh and later at Auburn University. His main areas of expertise include product and molecular design, mixture design and integrated biorefineries. His current work focuses on the application of molecular design concepts on reactive systems, integration of molecular design techniques into the design of biorefineries and carbon capture and storage using ionic liquids. He has co-authored more than 50 peer reviewed international journal articles and two book chapters. In addition, his works have been presented at more than 60 international conferences and at four invited lectures. Owner and Principal Consultant of specialist consulting company East One-Zero-One Sdn Bhd (East101).